« Peanut butter. Bacon. Cookies. I’m not the “make your own pasta” type. I love fresh pasta. 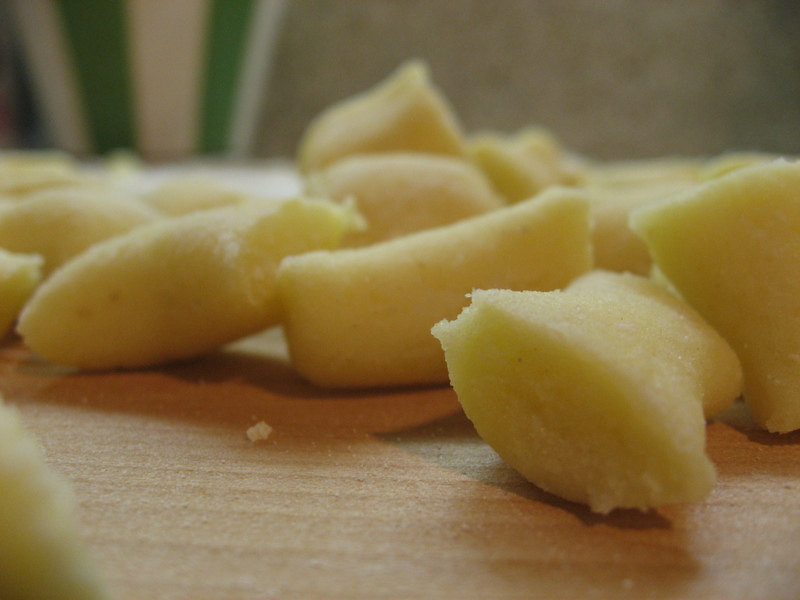 I think the taste of fresh pasta is leagues better than the various dried shapes you get in the store. That being said, I’m afraid of making fresh pasta. It seems like such a chore and so many things could go wrong. After reading Heidi’s post on How to Make Gnocchi Like an Italian Grandmother, I decided to take the plunge. I followed the recipe except for two places: I baked the potatoes and I didn’t make the fork grooves (because I’m laaazy). I read that baking the potato could make the gnocchi lighter and fluffier, and they certainly turned out that way. Depending on your belief on how gnocchi should be, I would bake the potatoes for really fluffy gnocchi and I would boil them for a firmer gnocchi. Personally, I liked how light the gnocchi were. There was no carb coma when I cleaned my plate. A good thing. It was a super easy pasta recipe, and I would definitely make it again. 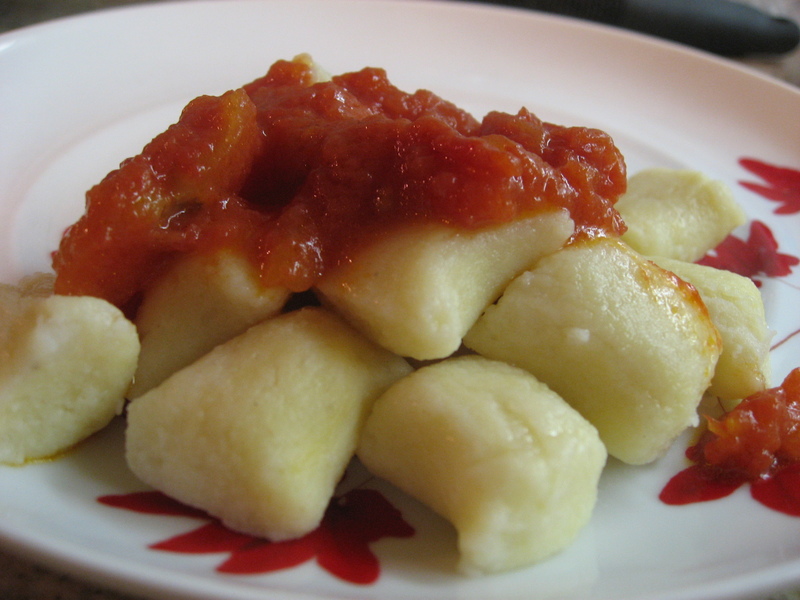 As for the phenomenal, three ingredient sauce you see draped over the gnocchi, that deserves its own post.